With a long-throw 10” IMG woofer, the Pro-10SW-RK rock subwoofer uses the same high performance acoustic design philosophies of our legendary indoor products, bringing the world’s most dynamic, powerful, detailed sound to your outdoor living space. The rock cabinet design allows for large cabinet volume necessary for low extension and high output, while remaining hidden in its environment. 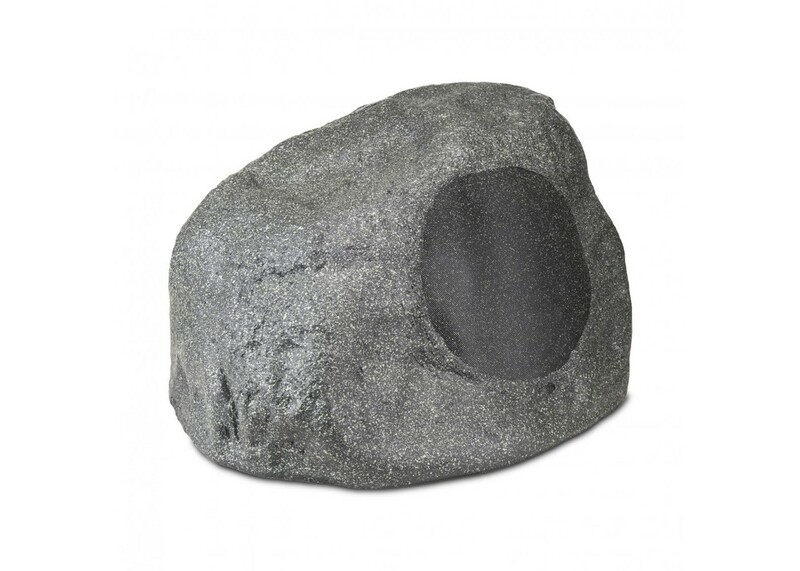 This allows for a superior listening experience while maintaining a high end, modern look in today’s finest landscapes and outdoor living spaces. For distributed line applications, the Pro-10SW-RK uses a transformerless dual voice coil design for 70V operation. Since tranformers severly limit a subwoofer’s low frequency capabilities, this unique design is the perfect solution when building a great sounding commerical or large residential system. This design also allows for high performance low impedance operation as well: 8 ohm stereo or 4 ohm mono for the ultimate in system flexibility. A rustproof, UV treated fiberglass cabinet provides the utmost in allweather cabability, while the attached 4-conductor direct burial wire eliminates the water penetrability of a switch for low impedance/ high impedance selection. With IP45 rating, the Klipsch Pro-10SW-RK is lab tested and certified to offer the best in outdoor audio year in and year out.